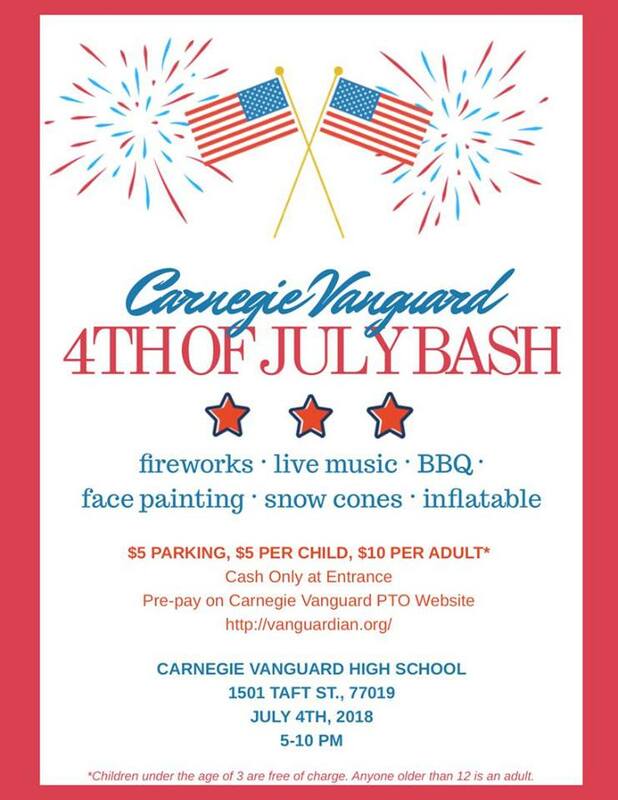 Each year, rising seniors plan and host a 4th of July party at Carnegie. Our proximity to Downtown Houston lends CVHS to spectacular views of the fireworks without all of the crowds! This event is only to the CVHS community, friends and neighbors – all are welcome!